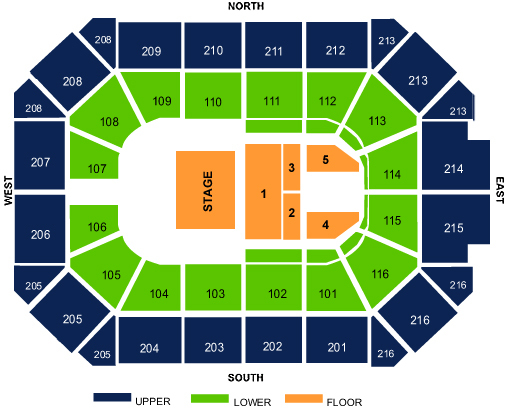 Allstate Arena has a wide range of seating options, at a variety of prices, with three levels of seating and private suites available. Designed with guests in mind, the venue provides excellent sight lines and superb acoustics, from all seat locations. Accessible seating is available on the lower level of the arena for guests with disabilities. It is important for guests to indicate that accessible seating is required when ordering tickets for an accessible seating area, in order for guests to be properly seated. Please note that the number of seats in the accessible seating area is limited and tickets for seats in the accessible seating areas are sold on a first come, first served basis. The venue has ensured that the number of seats available in the accessible seating area meets the requirements of the Americans With Disabilities Act (ADA) and other laws relating to accessibility.